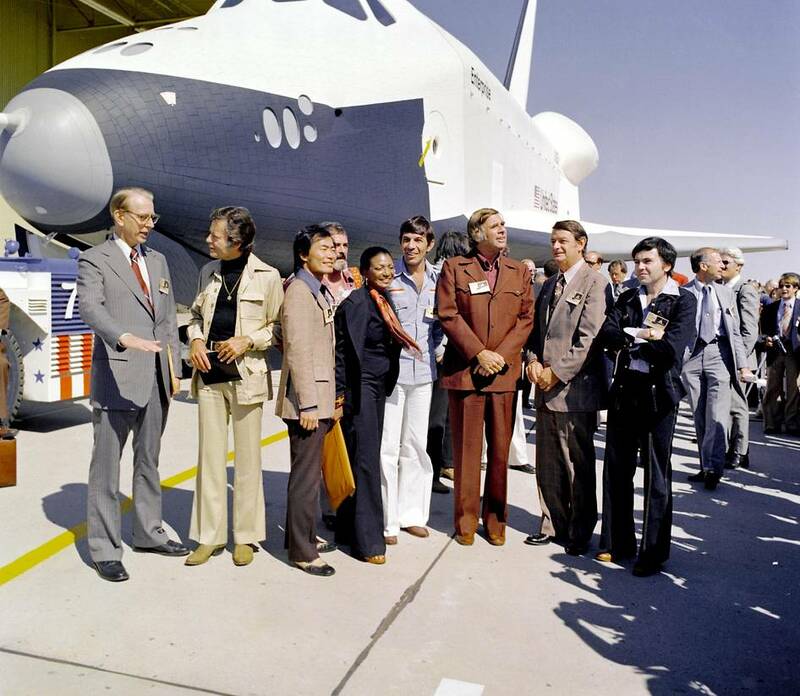 If you’re a fan of science-fiction, or one who passionately believes that mankind should continue striving to boldly go into the black, then I’m sure that like me, you’re saddened by the passing of Leonard Nimoy this weekend. Unlike so many in his profession, Nimoy never became a parody of himself. He remained relevant throughout his long career– from his early days of guest appearances on shows like The Twilight Zone to his final portrayal of the character that made him a pop culture legend. The first time I ever walked the floor of a science-fiction and comics convention in costume (at the old Pittsburgh Comicon back in sixth grade), it was as Mr. Spock. As a kid I loved watching Star Trek re-runs, and I identified with Spock more than any other character. Sure, as the Science Officer he got to play with all the cool gadgets, and the ears were kind of neat, but I think it was because every young kid can relate to feeling like they’re different from all the other people around them and having to struggle to fit in, much like Spock did as a half-Vulcan living and working among humans. I don’t think any member of Enterprise’s crew was as complex as Spock, and in Leonard Nimoy, Gene Roddenberry found the perfect actor to show us that. If you’ve visited the Take Back the Sky table at a convention in the past two years, you’ve no doubt seen the Independents flags we always have flying as part of our display. Those flags are the work of the fine folk at Firefly Cargo Bay, on online store that was one of the very first to offer Firefly- and Serenity-themed merchandise back when there weren’t really any officially licensed sundries to be found. Even in today’s market, which has been flooded with all manner of products aimed at Browncoats as of late, Firefly Cargo Bay still manages to offer a variety of unique Firefly and Serenity merchandise, often with a slightly humorous take on the ‘verse. Yes, here we are. Another year is behind us, and a new year lies ahead. If you haven’t already, it’s a pretty safe bet that over the next several days you’ll be bombarded with all manner of retrospective pieces about the year that was 2014. That’s appropriate, of course. It was quite a year, with more than its fair share of highs and lows. Those who have been following developments in the space industry are probably familiar with more than a few of them: ISS missions and their commercial resupply flights, ESA’s Rosetta, the disastrous Antares launch and the tragic Virgin Galactic crash, the unveiling of SpaceX’s DragonV2, the awarding of NASA’s Commercial Crew contracts, etc. While it’s always good to take a moment or two to look back on where you’ve been and see how far you’ve come, we’d like to keep the focus of this first post of the New Year on what lies ahead for Take Back the Sky in 2015. 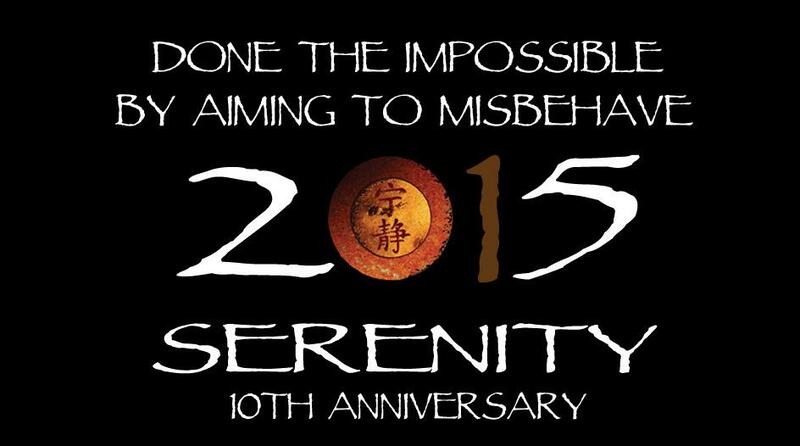 This year marks the tenth anniversary of the motion picture Serenity, the movie that was the realization of a dream for Joss Whedon and the fulfillment of Browncoats’ wishes the world over in that it provided a measure of closure to the story that was begun in the television series Firefly while laying the groundwork for future adventures of Serenity and her crew. That fact alone should be reason enough to believe that 2015 is the perfect time for those of us who want to convince SpaceX that their first manned Dragon capsule should bear the name Serenity to step up our efforts, both to recruit still more Browncoats to our cause and to convince Elon Musk and SpaceX of its worthiness. But nostalgia for the film’s tenth anniversary is hardly the only thing that will be motivating us this year. Don’t forget that Take Back the Sky will have a table at the Pittsburgh Comicon this Friday through Sunday, September 26-28. Those who visit our table can sign our petition to SpaceX asking them to name their first manned Dragon V2 spacecraft Serenity, and we’ll also have templates available so attendees can write their very own letter to Elon Musk and tell him why they believe Serenity would be a very shiny name for his ship. Since autumn has officially arrived, we’ll be reprising last year’s “Leaf on the Wind” campaign as well, and we’ll have fliers on hand explaining how to best go about sending Elon Musk a “leaf on the wind” to help convince him to name the first Dragon V2 Serenity. If you’ll be at the Pittsburgh Comicon this weekend, make sure you stop by our table and say hello. Even if you’ve already signed the petition, written a letter and sent a leaf, it would still be great to have the chance to talk with you about all the exciting things that have been going on recently in both the space industry and the world of science-fiction. And when you drop by, be sure to bring a friend or two. 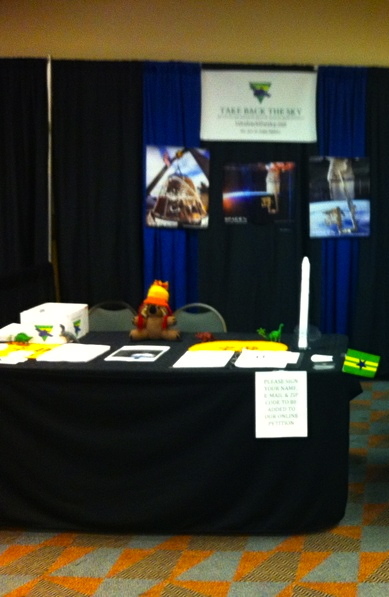 We always love meeting fellow Browncoats and folk who get as excited about space as we do. See you on the convention floor. By now Comic-Con International is already in full swing in San Diego, and while Take Back the Sky wasn’t lucky enough to make it out to the world’s biggest, most famous festival celebrating all that is great about geekdom this year, we are happy to say that we won’t be staying on the bench for the entire convention season! It has been confirmed that Take Back the Sky will be in attendance at the Pittsburgh Comicon again this year. The 2014 Pittsburgh Comicon will be held September 26-28 at the Monroeville Convention Center, and Take Back the Sky will have a table at the con where Browncoats, space enthusiasts and anyone else who’d like to support the cause can stop by, sign our petition and learn about other ways they can convince Elon Musk and SpaceX to name their first Dragon V2 capsule Serenity. We won’t be reprising our Browncoats in Space panel this year, but we will be on hand all three days to meet and greet anyone who’d like to drop by and chat with us about Firefly and Serenity, the future of space exploration and the efforts of companies like SpaceX, the latest in science and science-fiction in general or anything else that people like us love to geek out about. 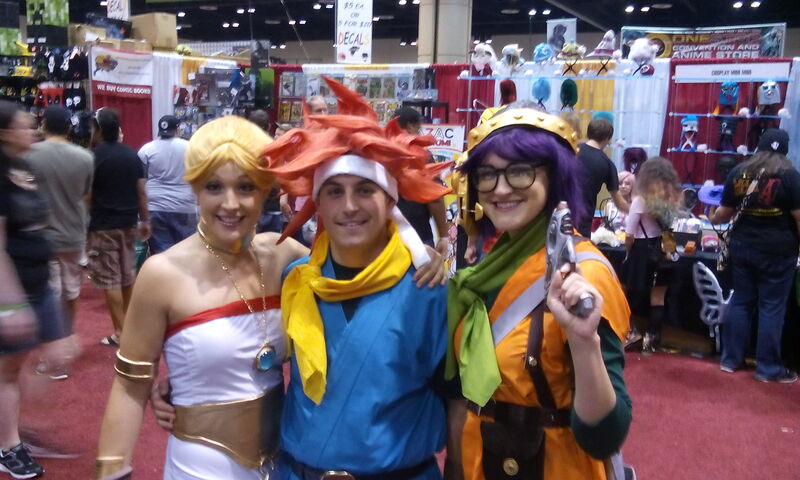 So if you plan to be at the con, please stop by and say hello, because making new friends is shiny. For more information about this year’s Pittsburgh Comicon, visit their website at www.pittsburghcomicon.com. Our thanks to those who volunteered to join our crew! We’d like to thank everyone who responded to our call for enthusiastic folk who are willing to help Take Back the Sky increase its presence at cons this year. If you are one of those who answered the call, rest assured you’ll be hearing back from us very soon so we can schedule a conference call and provide you with the materials and helpful advice you’ll need in order to get the most out of your tabling experience. We here at Take Back the Sky are grateful for your support, and the support of Browncoats everywhere in the ‘verse, as we aim to make history! The Take Back the Sky table at the 2013 Pittsburgh Comicon.